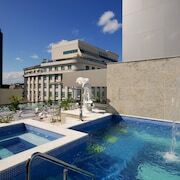 This renovated urban resort fronts a white-sand beach between Barra da Tijuca and famed Ipanema Beach, with a complimentary shuttle to Ipanema, Copacabana, and Rio Sul mall. Located in Enseada, this hotel is within 1 mi (2 km) of Enseada Handicraft Market and Enseada Beach. Pitangueiras Beach and Asturias Beach are also within 3 mi (5 km). 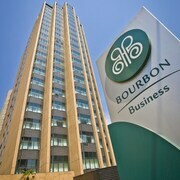 Situated near the airport, this hotel is within a 15-minute walk of Santa Joana Hospital, Aclimacao Park, and Sao Paulo Cultural Center. 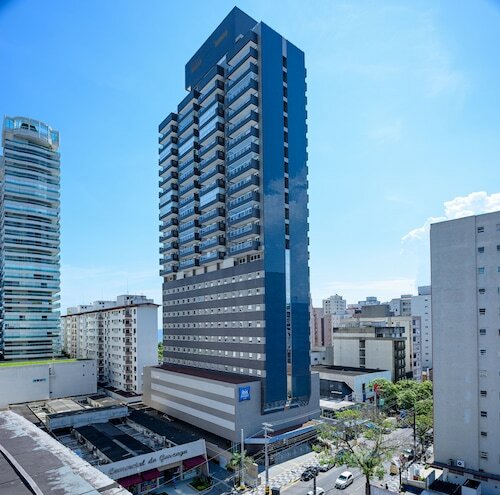 Hcor Hospital and Paulista Shopping Center are also within 1 mi (2 km). Ana Rosa Station is 11 minutes by foot and Paraiso Station is 13 minutes. 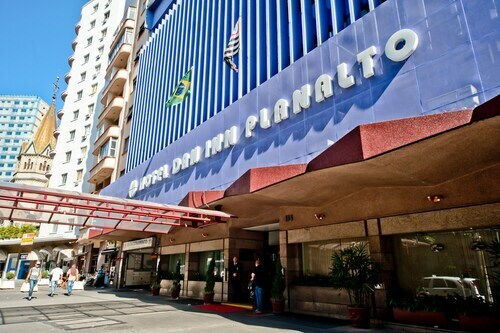 Located in Lapa, this hotel is within 1 mi (2 km) of Praca da Cruz Vermelha and Sambodrome. Flamengo Beach and Museum of Tomorrow are also within 2 mi (3 km). Cinelandia Station is 18 minutes by foot and Presidente Vargas Station is 18 minutes. 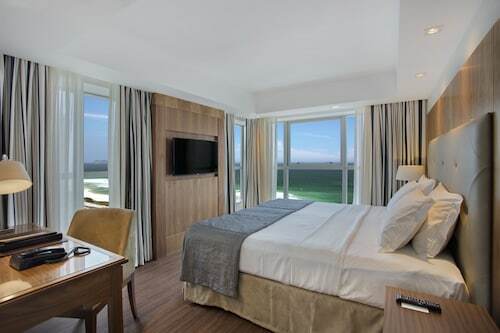 Located in Gonzaga, this hotel is within a 10-minute walk of Miramar Shopping Center, Gonzaga Beach, and Boqueirao Beach. Ponta da Praia Beach is 2.2 mi (3.5 km) away. 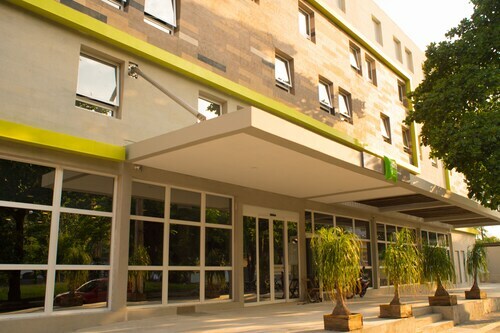 Located in Indianópolis, this hotel is 0.1 mi (0.2 km) from Shopping Ibirapuera and within 3 mi (5 km) of Ibirapuera Park and Shopping Metro Santa Cruz. Morumbi Shopping Mall is 2.8 mi (4.4 km) away. Eucaliptos Subway Station is only a 4-minute walk and Moema Station is 10 minutes. Located in Barra da Tijuca, this hotel is within 1 mi (2 km) of Tijuca Lake and Reserve Beach. Pepe Beach and BarraShopping Mall are also within 3 mi (5 km). 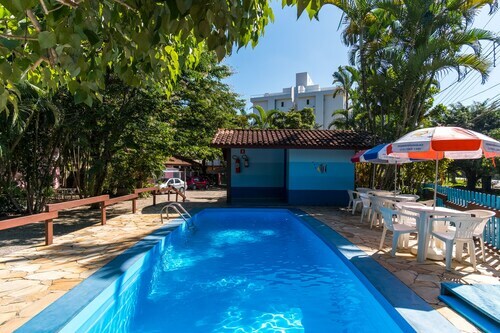 Located in Toninhas, this pousada is within 1 mi (2 km) of Enseada and Toninhas Beach. Santa Rita Beach and Tenorio Beach are also within 3 mi (5 km). 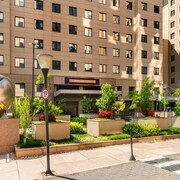 Offering direct access to the beach, this Copacabana hotel is within 1 mi (2 km) of Copacabana Beach and Copacabana Fort. Sugar Loaf Mountain and Parque Henrique Lage are also within 3 mi (5 km). Siqueira Campos Station is 9 minutes by foot and Cantagalo Station is 15 minutes. 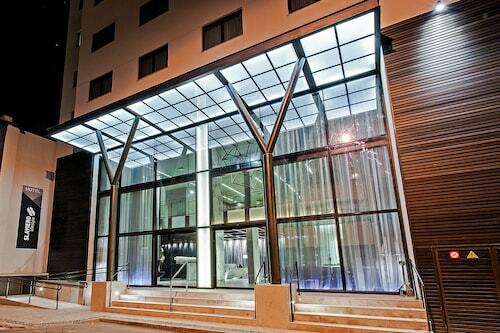 Located in Santa Ifigenia, this hotel is within a 10-minute walk of Sao Bento Monastery and Rua 25 de Marco. 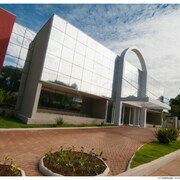 Rua Augusta and Frei Caneca Shopping and Convention Center are also within 2 mi (3 km). Luz Metro Station is 6 minutes by foot and Sao Bento Station is 7 minutes. Whether you're a seasoned traveller or a novice on your first grand adventure, you're clever enough to know that getting great Brazil accommodation can play a big part in making the most of your visit. Snapping up a hotel deal at the right price can make all the difference when it comes to planning a top trip. The hotel search doesn’t stop at a great price though; finding accommodation with the inclusions and amenities you’re after is important too. Whether you’re committed to a daily exercise routine, are looking for a great hotel bar to unwind and socialise at, or simply want a helpful concierge service, your accommodation in Brazil should meet all your requirements. 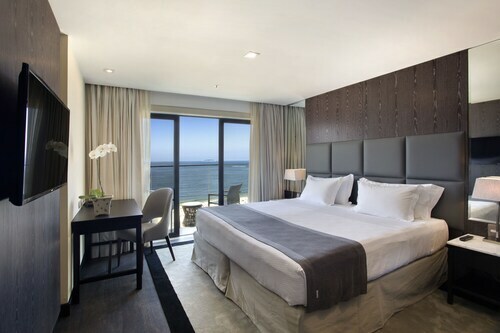 Luckily, Wotif sources millions of rooms worldwide, bringing you the best Brazil accommodation deals which leaves you more money to spend ticking off all of those activities on your travel itinerary. 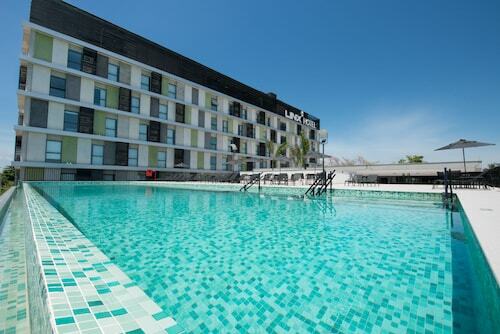 Luckier still, Wotif puts in the hard yards collecting the best hotel deals, so through one easy hotel search, you can find the best prices in Brazil today. How Much is a Hotel Room in Brazil? Hotels in Brazil start at NZ$57 per night. Prices and availability subject to change. Additional terms may apply. The room is very comfortable and clean. The staff is very friendly. 4.0 Top hotel! Great location! The staff were very friendly and happy people. My room was perfect, with a nice view, iron and ironing board, nice bathroom and bed. It was very cool! The rooftop pool, located next to the gym was also very nice. Great for hanging out and relaxing! 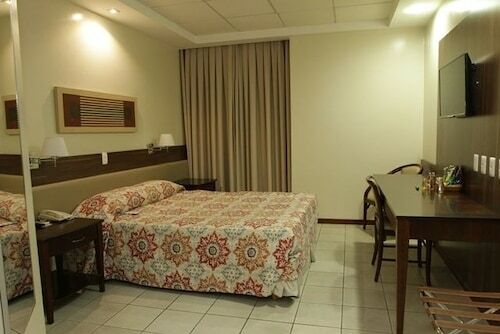 This Hotel is very well located, only 10mins walk to the beach, and it is close to a BRT station which you can use to the take the Metro from Jardim Oceânico Station if you want to go to Ipanema or Copacabana. 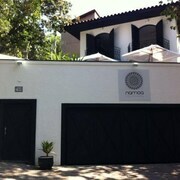 If you are a fan of Barra da Tijuica, I thoroughly recommend staying here. Excellent value for money! Pool is beautiful and very clean. Food is not that great but a great choice to stay when you want to be close to the airport.